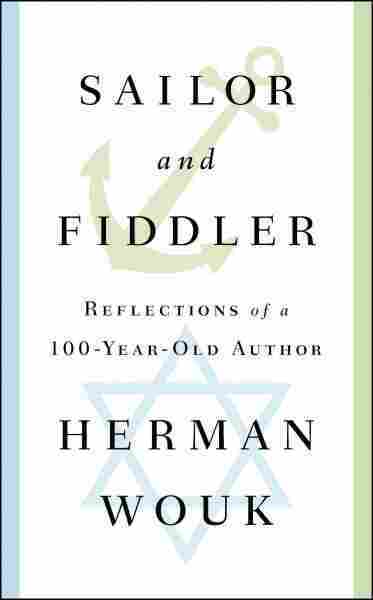 Herman Wouk Says He's A 'Happy Gent' At 100 The Pulitzer Prize-winning author of beloved blockbusters like The Winds of War is celebrating his milestone with a new memoir, Sailor and Fiddler, that sums up his thoughts on what it means to write. 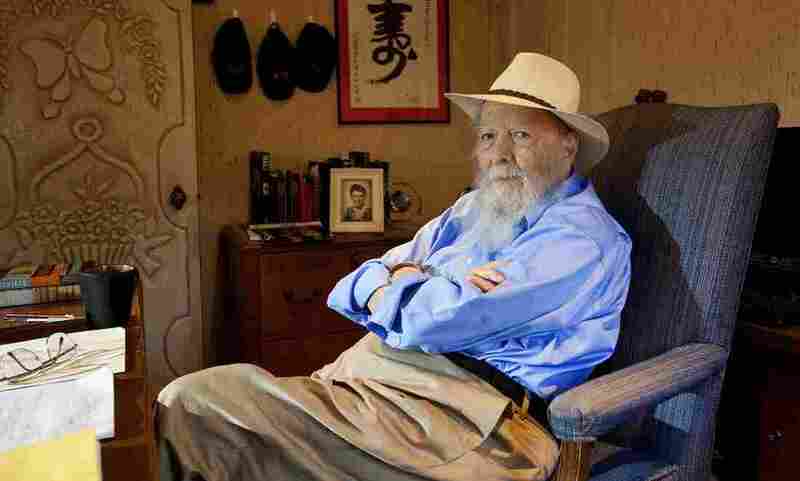 Herman Wouk has written a lot of well loved novels like The Winds of War, War and Remembrance and The Caine Mutiny, which won him a Pulitzer Prize. But his latest achievment is a rare one — Wouk reached a milestone that few of us will ever see: the age of 100. Many years ago, a well known biographer approached Wouk about writing his life story. He gave her access to his journals, but after reading them, "she said, your literary career would be wonderful material and I'd love to do it," Wouk recalls. "But there is a spiritual journey running through your volumes which only you can do." Now, Wouk has written that story. He calls it Sailor and Fiddler — the sailor representing his life as a writer, the fiddler his spiritual side. Growing up in the Bronx, Wouk knew he wanted to be a writer, but Judaism was always important to him as well. He loved Mark Twain and Alexandre Dumas, and he also fondly remembers listening to his father read the stories of Sholem Aleichem on Friday nights. As a teenager he argued with his father about studying the Talmud, telling him it was outdated. "He said to me, I understand everything you say about the Talmud and you're right. But if I were on my deathbed and had breath enough to tell you one thing, I would say 'study the Talmud.' That stayed in my soul and I did learn the Talmud from end to end once," Wouk says. Wouk's first love as a writer was humor — he wanted to be what he called "a funny man," and just out of college, he got a job writing gags for radio shows. He spent five years writing for Fred Allen, one of the biggest names in radio in the years before World War II. But the war changed everything; Wouk joined the Navy and was assigned to a minesweeper in the Pacific. "I would spend many of the nights looking out at sea and being stirred with thoughts and I began to think there was a book to be written that would be like War and Peace," he says. "At that time I didn't think at all that it would be something for me to write, but nevertheless I got the feeling that there was a whole other kind of writing to do." It would be years before Wouk began the novel he first envisioned on that minesweeper. But he plunged into writing when he returned to civilian life. He quickly became a best selling author with such novels as Marjorie Morningstar and the Pulitzer Prize-winning The Caine Mutiny, which was made into a movie starring Humphrey Bogart as the unforgettable Captain Queeg. Eventually, Wouk began working on the World War II epic which he called the main task of his life. Jonathan Karp, Wouk's current publisher and editor, says it was an extraordinarily ambitious undertaking. "He believes that God put him on earth to tell the story of the Holocaust through the frame of World War II," Karp says. After seven years of research and writing, Wouk had a draft of 1000 pages, which he presented to his wife — who worked closely with him on all his books. "Sarah, my wife, said, 'you can't publish this. The story is just beginning,'" he remembers. "And I said it's impossible to do it all. I'd have to put in another seven years to tell that story, and the novel would have to be published with wheels on it, it would be so massive." And so one book became two bestsellers, The Winds of War and War and Remembrance, both of which were adapted for television. Despite all his success, Wouk did not always get the respect he deserved from the literary establishment. "The books have a lot of serious ideas in them," says his editor Karp. "The characters are rich and colorful, and there's absolutely no reason he shouldn't be taken seriously." Looking back on his life from the vantage point of a centenarian, Wouk doesn't seem to care what others think of him. "I was very pleased when a book worked and to some extent they've all worked to my satisfaction. In that I'm a very happy gent of 100." Sailor and Fiddler is a slim volume for a man who has lived such a long and full life. But Wouk says he thought hard about what to put in his memoir, because he says, it sums up what it means to be a writer.